Diving into my next picture book, THE LONGEST JOURNEY! So excited to create this book about a young arctic tern’s first migration. I’m cleaning out my studio and looking for happy homes for some of my paintings. Check out my shop on Friday, November 30! Excited to show off the cover for Moon Babies written by debut author Karen Jameson and illustrated by me. Releases in July 2019 from Putnam. I've been working the last few weeks on some new original paintings to sell on my site soon. I thought it would be fun to repurpose some of these into art for potential home decor, fabric and paper products. Will show more as these come together. I've been busy for the last few months illustrating my next book Moon Babies, written by Karen Jameson. Been painting in a new color palette for me with lots of purples and pinks. Here's a little peek! 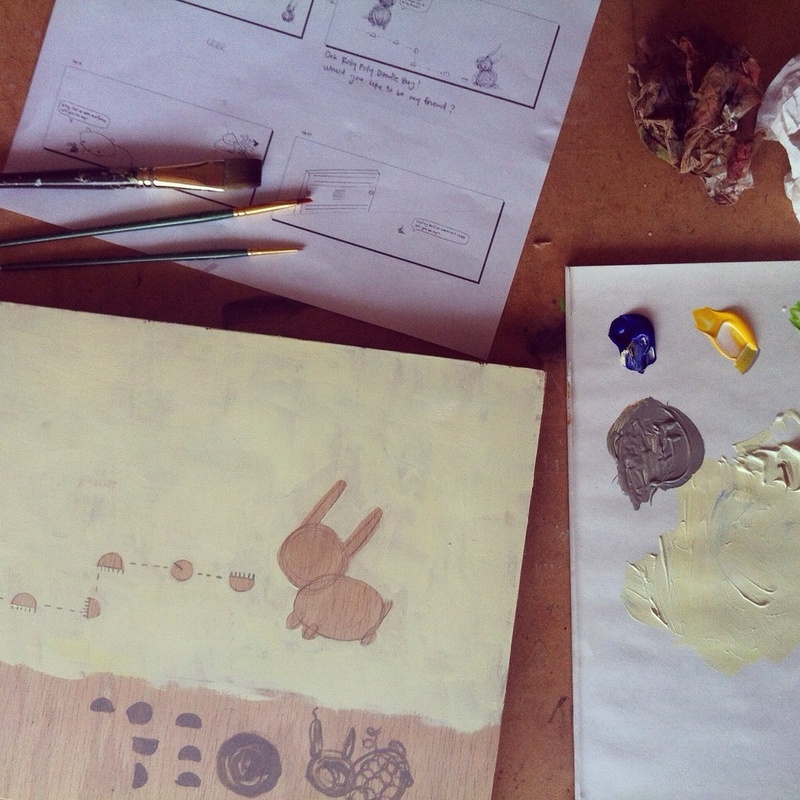 About two years ago, I posted a story board for a picture book I was working on called THE LONELY BUNNY. 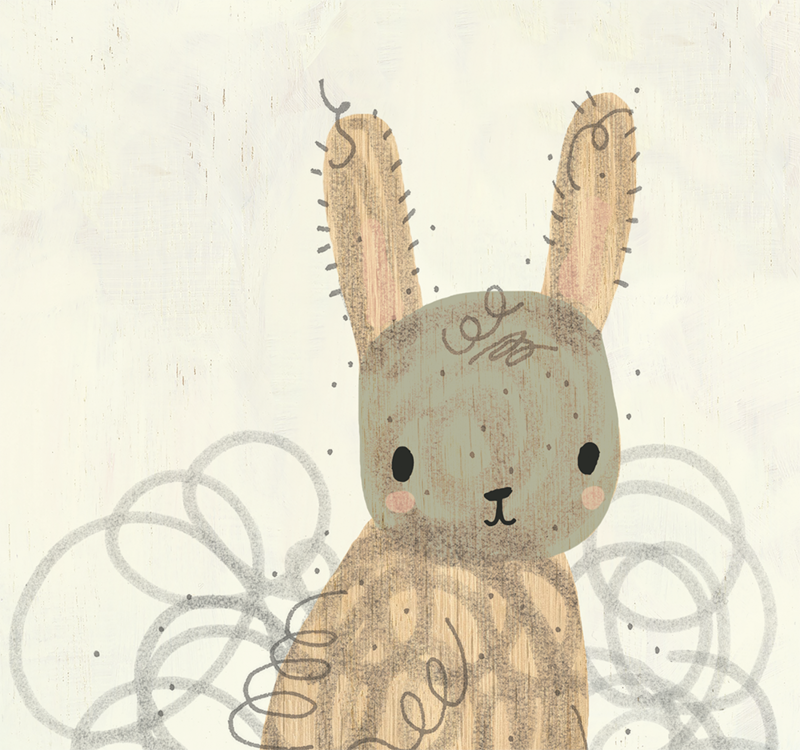 After many drafts and great feedback from friends, it became a wordless picture book called DUST BUNNY WANTS A FRIEND. Now two years later, I'm in the process of handing off final art to the publisher, Schwartz & Wade. Such an incredible journey filled with tons of sketches, doodles, character studies, scans, paint tests, revisions and Photoshop. I can't wait to show you more, but for now I thought it would be fun to show some of the process. DUST BUNNY WANTS A FRIEND comes out in Spring 2019. I was recently filmed by Seattle Channel's Art Zone film crew. They did a great job making me look and sound good. Check it out. Been busy lately! Here are some new things I've been creating this week. 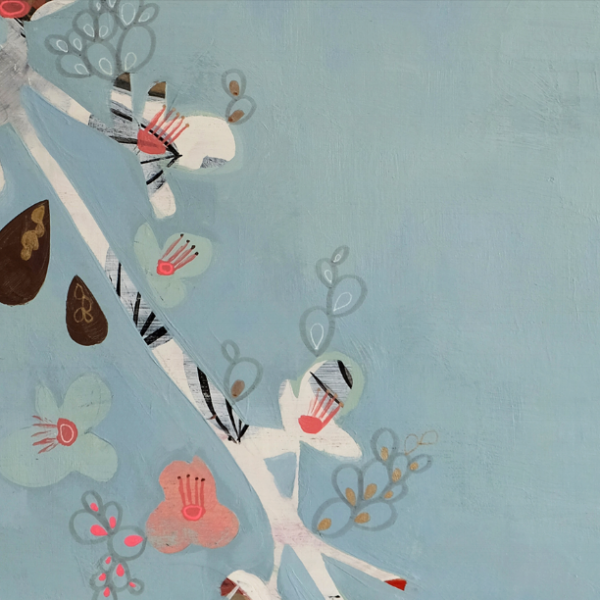 A series of cherry blossom paintings for my upcoming Cherry Street Public House show. 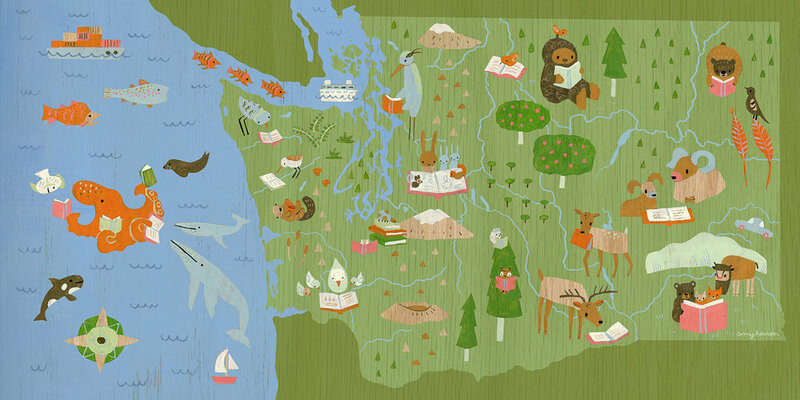 If you're in the Seattle area, stop by and say "hi" during the show opening on April 6 from 6-9pm. Excited about how these two book covers turned out! Having fun illustrating various bunnies and doodle bugs today! Hello blog, it's been a while! I've been busy catching up from the holidays. Here's a little something I've been working on this week... a "year of the winged monkey" illustration. Last week we were given a collage wall art assignment for my MATS class. Since I'd be traveling I scanned in a bunch of painted and doodled pieces so I could work digitally while away. I had so much fun working that I had a hard time choosing. I could keep doing these for days and days!